(Hugh Kinsella Cunningham/EPA-EFE/Shutterstock)Congo’s electoral commission declared Felix ­Tshisekedi the winner of a contentious presidential election in the pre-dawn hours of Thursday, setting the stage for the country’s first democratic transfer of power, despite delays, irregularities and evidence of fraud. 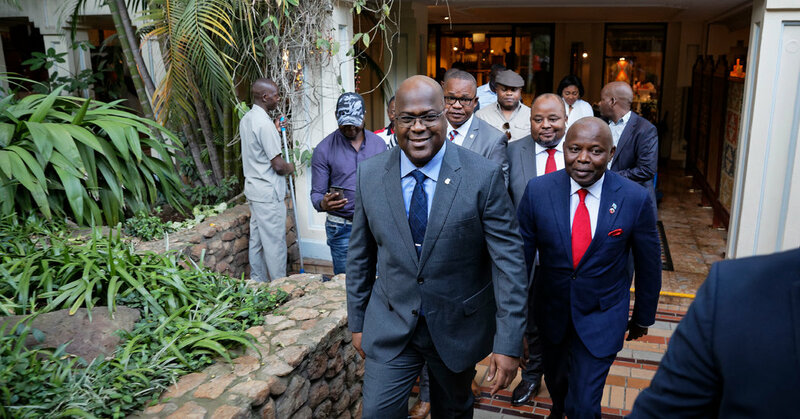 Tshisekedi represents Congo’s oldest political party, founded by his father, which has spent decades in the opposition. Kabila’s handpicked candidate to be his successor, Emmanuel Ramazani Shadary, drew the least number of votes of the leading candidates. A second opposition candidate, Martin Fayulu, came in second despite consistently polling as the favorite. (Stefan Kleinowitz/EPA-EFE/Shutterstock)Pressure had mounted on the electoral commission to release results after a delay in their announcement cast suspicion over the vote’s integrity.